I try to be a thrifty shopper. Not only do I not like to spend a ton of money on things, but I also don't always have the cash flow for expensive decor for the house. Does that mean I have to skimp on style to stay within a budget? No way! It just means I sometimes have to get a little creative with where I shop and how to use and re-purpose the things I already have around the house. Let's here it for the DIY-ers in all of us. 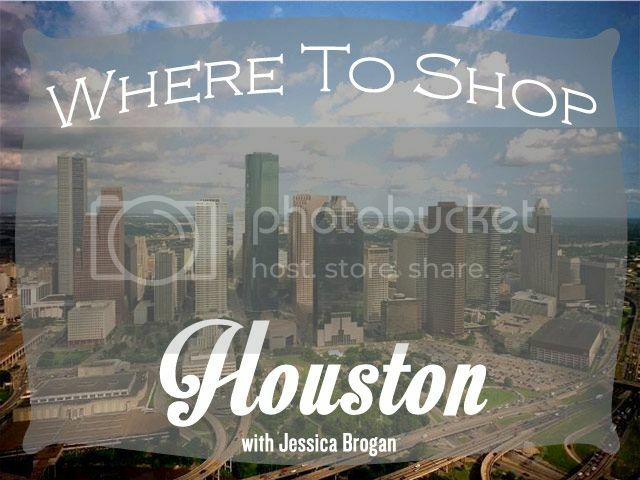 Today I'm going to share a few places around Houston where if you have a keen eye, you can really find an affordable gem or two for your house. The Thompson's Antique Center of Houston is one of the largest collections of antiques in Houston. Located in Northwest Mall in one of the former flagship stores, it boasts over 100,000 square feet of space, and you can find just about anything you can dream of there. I have found vintage cameras, vintage books, glassware, furniture, antique toys, vintage clothes, costume jewelry, paintings, picture frames - really the list goes on and on. I love getting lost for a day in this place (and you can easily spend a day exploring all of the aisles). 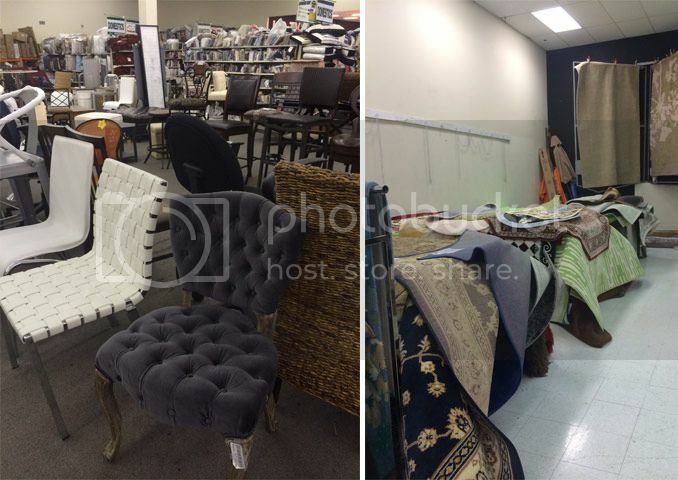 The Salvation Army Auction is Houston's best kept secret (and now I'm sharing it with you!). The Salvation Army gets more donated items than they can sell in their regular stores, so every weekday at 10:30 am in their warehouse in the Heights, excess items are auctioned off for pennies on the dollar. Furniture, clothes, shoes, handbags, art, home decor, you name it and it's up for auction. The doors open at 10:00 so buyers can see what's on the auction block for the day. If you see me there, please don't out bid me! These are just the tip of the iceberg when it comes to thrifty shopping in Houston, but they are three of my personal favorites. I hope you check them out and I'm sure you'll find a steal of a deal! Welcome back to "Where To Shop." This next post is from a fellow blogger out in the sunshine state. She contacted me about contributing to this little series, and I know quite a few people in Florida, so hopefully this will help you figure out where to shop for your next Christmas present or home decor item! Hi everyone, I'm Vanessa from What We're Up To! and I am here to share where I like to shop in my home city of Jacksonville! I love to support local shops in our community, so I tend to check out the smaller locally owned stores for my home decor. My style usually consists of antique finds along with some modern pieces to keep it fresh. First up I have to start with Driftwood, this shop is basically the bees knees in my book. I can't get enough of their amazing antique pieces. Seriously, if they would let me sleep in their shop I just might! They have the perfect mix of vintage furniture and local art. The owners live local and are super sweet. If you're in the Jacksonville Beach area be sure to stop in to see them, but be sure to set aside some extra time they have lots to look at! You won't be disappointed. Check out more photos here. T. Gregory is also located in Jacksonville Beach. They have very unique furniture that you will not find anywhere else. Their furniture is hand picked by the owner overseas and brought back to Jacksonville Beach just for us! Wahoo right? They also have a variety of accent pieces that I fall in love with every time I stop in. Their inventory is always changing, so it is fun to stop in often! They also have a location in St. Augustine if you're closer to that area! Now if you are a lover of antiques like me this place will make you weak in the knees. From the outside it looks like a quaint little shop, but once you get inside the building goes on and on. It is one huge antique shop where local thrifters sell their amazing finds. The inside is divided up into small booth like areas where each vendor sets up there goods. These are true antiques, booth after booth of them. If you live in the south you know it is not as easy to find antiques down here as it is up north, so this shop is a gold mine to me. Not to mention that they also have a consignment barn right next door that is also filled with more vintage home decor. This is another locally owned shop here in Jacksonville Beach. Much like The Antique Market, they have many vendors/artists selling their own items. They have great vintage finds, lots that have been tweaked to make them even more unique. They also have great clothing and jewelry which is a bonus. Plus, their prices are really reasonable. Read more about there shop and see more photos here. Hey Y'all! Happy Thanksgiving week! If you're like me, you are carefully straddling the line between Christmas and Thanksgiving. I'm so excited about turkey and football day, but I also can't stop thinking about Christmas presents and joy to the world. Amy Prince is the guest on the blog today to talk about where she shops in Atlanta, and she has some great ideas for where to shop for those Christmas gifts on the brain. Amy & I met at a friend's wedding in the spring, and I was immediately struck by what a beautiful person she is, inside and out! Their loft apartment in the Atlanta area is so adorably inspiring. I also heard through the grapevine that today is her husband's birthday! Happy Birthday, Max! 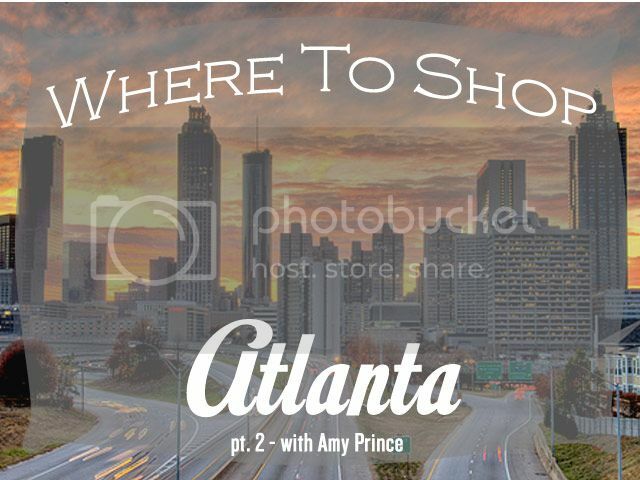 Be sure to check out Amy's blog, and enjoy her list of Where to Shop in Atlanta! Hey everyone! I hope you all are able to check out some of my favorite stores around Atlanta. My ideal shopping day consists of roaming through antique store after antique store & lucky for me, Atlanta is filled with them! I love how the inventory changes every week, making each shopping trip an adventure. 1. Queen of Hearts I fell in love with this antique store on my first visit years ago & since then I have spent many hours browsing the booths and looking for unique treasures and fun finds. The store is huge, so be prepared to come with some time set aside to enjoy the experience of wandering through the aisles & shopping at your leisure. Although I love all the charming decor, my favorite thing about this store is the furniture. There are always countless pieces of furniture that are reasonably priced & full of character. 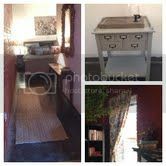 I’ve found kitchen tables, nightstands, old mantles, entryway tables, desks, vintage pie safes, vanities, and more. Each booth has a different feel & style, so it is easy for anyone to find the home decor style that fits them. Shoppers tip: bring cash. You get 10% off if you purchase with cash! 2. Classy Flea This store is a bit hit or miss compared to Queen of Hearts, but part of the fun is never knowing what you might find. I’ve purchased several items from here that I still love as much as the day I bought them. 3. World Market Odds are you’ve shopped here before, but if not, I highly encourage you to check it out! I frequently shop here and rarely walk away empty handed. I love the style of all the home and kitchen décor and it is also a great place to buy gifts for others. Their scarves, jewelry, candles, picture frames, and artwork are all great options for gifts. My favorite purchases from this store for our home are our curtains, bedroom artwork, lamps, and hallway table. Sign up for free to be a rewards member to enjoy all the coupons & discounts! 4. Hobby Lobby Although this is a chain store, it is absolutely one of my favorite places to shop. It’s hard to beat constant 40% off coupons in a store overflowing with beautiful home decor items & supplies to create your own art for your home. It’s a great store to buy holiday décor without breaking the bank. 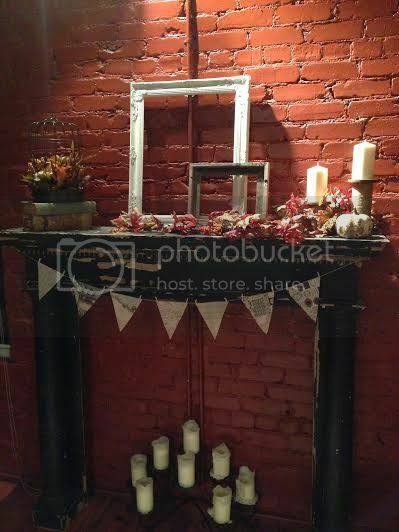 I love decorating our mantle for every season & always find what I’m looking for here. We're back with the Where To Shop series! Check out Nashville and Atlanta pt. 1 if you haven't already! Have you started your holiday shopping yet? I still have a lot of shopping to do!! If you live close to Washington DC, perhaps this list from Chaney Widmer of May Richer Fuller Be will help give you some inspiration for your Christmas shopping. Chaney and I met through blogging, and I am so inspired by her creativity and craftiness! Be sure to add her blog to your blog roll. Hey y'all! I'm Chaney from May Richer Fuller Be. I live in the nation's capital of Washington, DC, and I'm excited to share a few of my favorite shopping spots for the home. I'm big on mixing old and new, and modern and traditional pieces, so I like to shop at a wide variety of places. I love the thrill of the hunt, so flea markets, vintage stores and thrift stores are my favorite places to shop, but there's also nothing like walking into a store full of shiny, brand new items as well :). 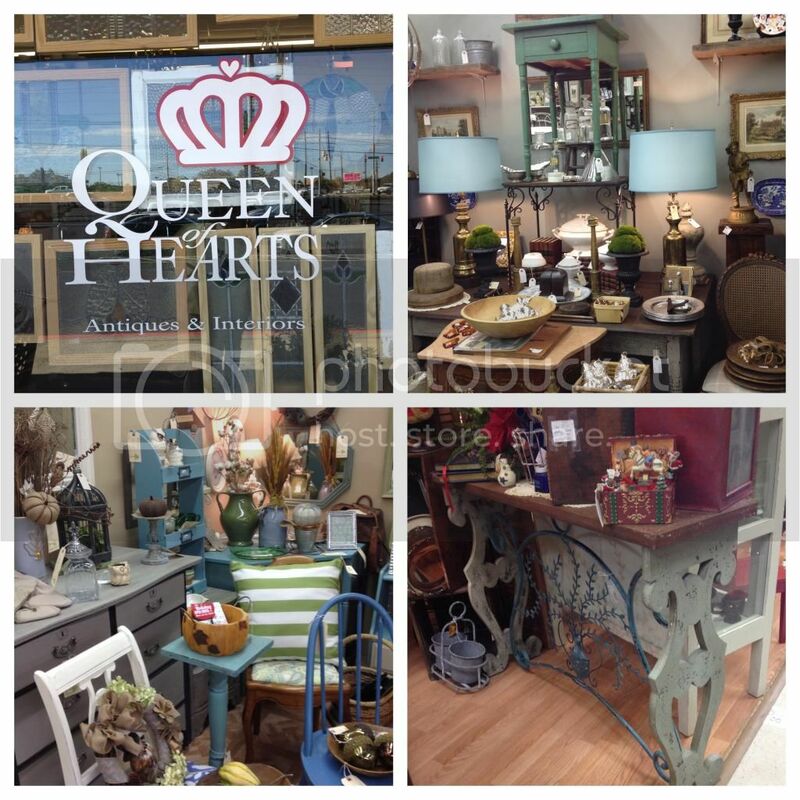 Trohv is a mecca of both new and vintage furniture pieces, home goods and gift items. It reminds me of Anthropologie, but with a local, hipster flair. There's so much to take in and the inventory changes regularly, so if you live in the area, go often! So most of these aren't technically stores, but they're amazing. Barn sales were a new concept to me when I moved back to DC a year and a half ago. Most of them are literally old barns packed full of vintage furniture and home items (mixed with some new items), and I love going to them. The prices are typically reasonable, and you never know what you're going to find. They're usually open one or two weekends a month, but some are open daily so be sure and check the schedule before you head out there since they're about an hour away from DC. I recommend spending a day hopping between the different sales to get the full experience. Salt & Sundry is a curated boutique of housewares, linens, gifts, artisinal foods and vintage finds. They also carry reclaimed wood farm tables made by the shop owner's father - cool, huh? It's located in Union Market, a warehouse that formerly housed one of the city's premier food markets and wholesale food operations from the 1930s to 70s. It was recently revitalized and turned into a food market once again with vendors, small cafes and pop-up shops. 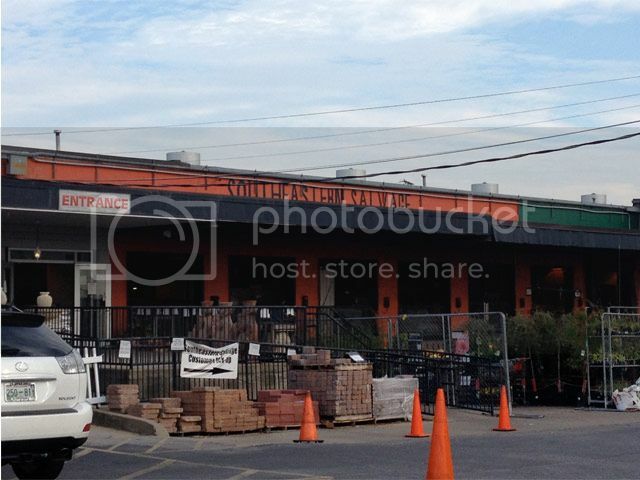 Salt & Sundry anchors one end of the building and is the only home goods vendor. GoodWood hosts an eclectic mix of vintage and antique finds, and their inventory is always changing. It's become a DC institution since it opened in 1994 in the U Street neighborhood. I've met the owners, Anna and Dan, and they do an amazing job curating items for their unique shop. It's one of those places you wander through once, and then you convince yourself you need to make a second pass through because you couldn't possibly have seen all the items the first time around. So much to see! I did mention that I liked modern items as well, so let's change gears from vintage to modern for this last place. Jonathan Adler's Georgetown store is one of my favorite places to window shop. His items are a bit out of my price range, but the punchy colors and clean-lined pieces are just so much FUN. I totally dig and appreciate his crazy style. While this is technically not a DC-exclusive shop, there aren't that many locations, so I figured I'd throw it in here. That wraps my list of places for "Where to Shop" DC. There are so many other places to go - DC is a big place! If you've shopped this area and have a favorite shop or two, I'd love to know what they are. Thanks to Chandler for having me today! Thanks, Chaney! Now, I think I may HAVE to make a trip to DC just to shop! Happy Tuesday Everyone! We are back today with our "Where To Shop" series. Today's stop...ATLANTA! This is only part 1 of Atlanta...we will have another guest post with more Atlanta shopping ideas coming in a couple of weeks. It's a big city...there are a lot of places to shop! 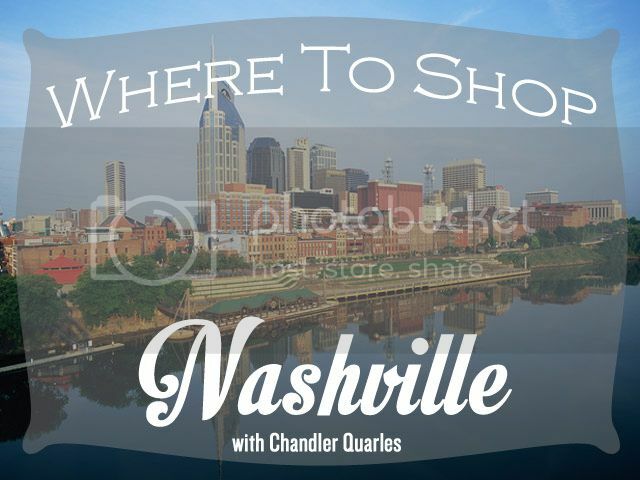 If you missed the first installment of Where To Shop, check out Nashville here. I want to introduce you to my good friend Olivia Carswell! She is the voice behind the blog Beautiful & Bright Home and I LOVE her style. She knows how to decorate, y'all. I'm happy to have her visiting All Precious & Pleasant and sharing her favorite places to shop in her hometown. Take it away, Olivia! Hey guys! I'm excited to share some of my favorite places to shop for your home in Atlanta and the surrounding areas. 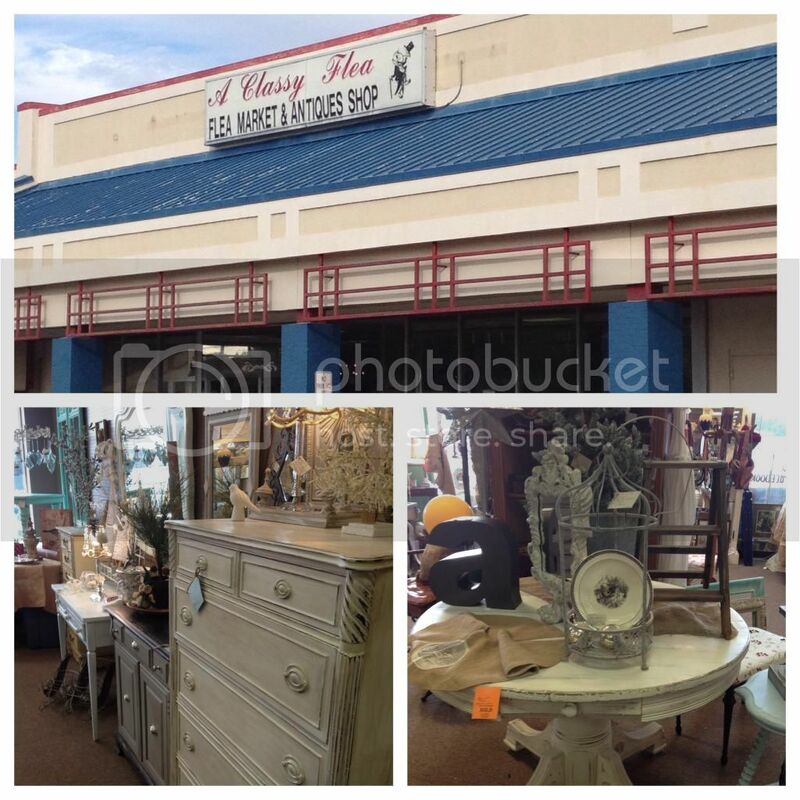 I wanted to share 2 antique stores, 2 interior decorating stores, and 1 decor outlet that I love. My favorite way of decorating is to incorporate the old with the new. I can always count on these 2 antique stores in Woodstock, about 30 min outside of Atlanta, to have some amazing one of kind pieces that are moderately priced. This place will never disappoint. Like every other antique store, you have to be willing to search, but trust me it is worth the time and effort. Some of my favorite pieces I own were bought at Woodstock Antiques. Woodstock Market is located directly across the street from Woodstock Antiques so you can hit both back to back. I love that this store has antiques, customized art, refurbished furniture pieces, and unique finds. Tip: If you see something you love, you have to buy it right then because if you leave and come back another day, it will be gone! Pieces fly out of there super quick so there is no waiting around if you find something you love! It's a great store and I'm positive you will find something beautiful. 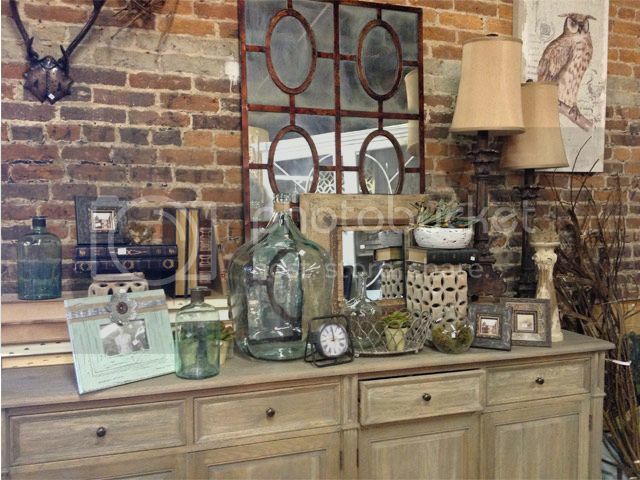 Pineapple Park is a great interior decorating store in downtown Woodstock. 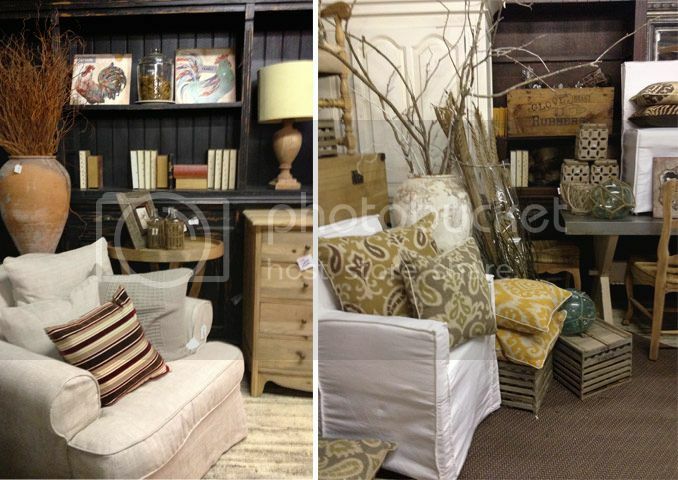 They have beautiful furniture, bedding, and lighting. My favorite thing about the store is the amazing candles they sell. Park Hill collection candles are bomb.com and when you have one burning in your home it will make your whole house smell amazing! Now, this is a store that I WISH I could shop at! Its located in the trendy area of Westside Atlanta off of Howell Mill Rd. They have gorgeous pieces of furniture! It's worth stopping by even if you don't have the money to spend simply because its beautiful, inspiring, and smells amazing!!! Ballards Backroom has two locations. Atlanta off of Defoors Ave and Alpharetta off of Holcomb Bridge. This store is great because they carry discounted pieces from Ballards Design, a European inspired home furnishings store, for a lot cheaper than the prices on the Ballards website. They carry a wide variety of pieces that change out frequently...rugs, lamps, light fixtures, couches, chairs, bar stools, kitchen tables, mirrors, etc. I have purchased several pieces from here and am very pleased with all of them. Tip: Keep an eye out for pieces you like online and soon they will be at Ballards Backroom for prices that are a little easier to swallow. Welcome to the new series from All Precious & Pleasant Blog entitled Where To Shop. I am enlisting the help of some dear friends to highlight favorite places to shop for their homes in their cities and towns over the next two months as we enter holiday shopping season!! Stay tuned for features from all over the great USA, and shoot me an email at chandler@allpreciousandpleasant.com if you are interested in participating for your hometown. Welcome to Nashville, Tennessee. Home of country music and southern hospitality. Y'all just make yourself comfortable as I take you to a few of my favorite places to shop for my home. I tend to stick around South Nashville, and I am sure I am missing dozens of awesome places. If you're from around here, tell me about your favorite places so I can visit in the future! 1. 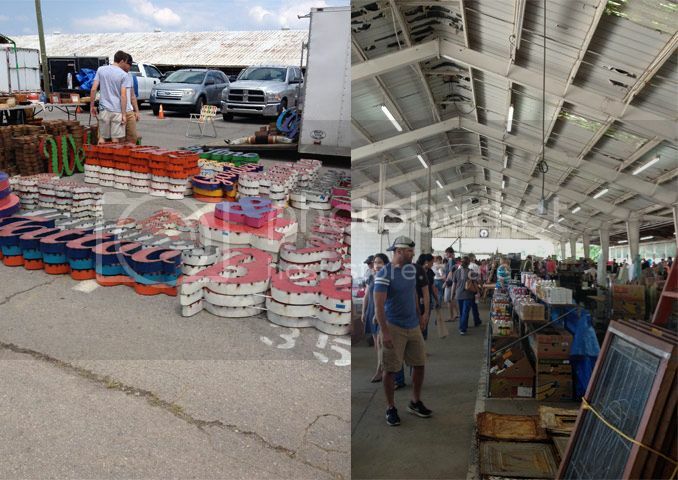 The Nashville Flea Market - Nashville Fair Grounds Once a month, set aside time to go to the flea market. This is not for the faint of heart. Rain or shine, heat or freezing temperatures, hundreds of vendors camp out at the fair grounds for three full days on the fourth weekend of every month to sell all kinds of wares. Be sure to take with you: - Walking shoes - An eye for potential in the old and rusty - Cash - Your bargaining attitude. Don't pay asking price for this stuff. Get ready to haggle. If you can muster up those four things, you are ready. You can find gorgeous antiques, beautiful glassware, craft items, decor, art, and even homemade food. This could be an all day event if you want it to. Oh man, I love this place. See another blog I did about this one here. For Restoration Hardware style without Restoration Hardware prices, try PD's (Premiere Discounters) in downtown Franklin. I don't actually own anything from here, but I love to look! When we are on the hunt for our next major piece of furniture, I will definitely be dropping in. These prices certainly aren't flea market or thrift store cheap (which is usually my sweet spot), but it is a great way to get really high quality goods at a discount. And everything is just so beautiful. Also...this place is kinda a secret. So welcome to the exclusive club. There are no signs outside and no website. It's in a big warehouse, and you wouldn't think twice of it unless someone told you about the beautiful and magical land inside. 3. Bargain Hunt Grassmere - Nolensville Rd. This is a chain store, but it's worth noting for those in the Nashville area. There are several Bargain Hunt (formerly known as Essex) locations around Nashville, but this is the one that I frequent. We bought the arm chair in our office here (for $120! ), and I just found another gorgeous armchair with a friend there the other day. I like to call this a junkier, more warehouse-like version of TJ Maxx or Marshalls. Everything is new, but it is overstock and scratch and dent. They carry everything from baby supplies to sporting equipment to TVs to Home Goods. We have even gotten a few cleaning items here. The furniture is usually really awesome, and the prices go down the longer they have been in the store. They also carry pillows and bedding and lots of rugs. If you are planning any kind of remodel, this is the place for you. It is like a salvage yard of dreams. They carry furniture and home decor, but they also have granite slabs, lighting, kitchen cabinets, flooring, doors, and pretty much anything else you might need for a new home or a home remodel. It is a little bit overwhelming, but it is worth keeping your eye on. 5. Our Thrift Store - Franklin, TN Great Selection. Awesome Prices. Good Cause. Three of my favorite things. Our Thrift Store is where I got the chairs that I recovered for our living room as well as several other home items. They have an awesome and really large home store, and they get new stuff daily. They take great care of their selection, and it is the most organized thrift store I have ever seen. They work to give employment to adults with special needs, and they love Jesus. 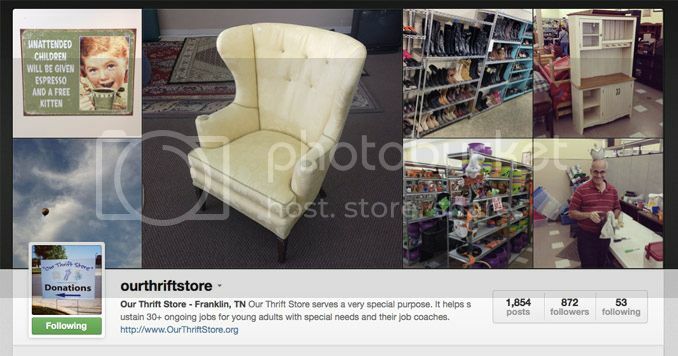 Be sure to follow them on Instagram @OurThriftStore and "like" them on Facebook. They are the most social media savvy secondhand shop around, and they constantly post awesome items and their prices. You can even call with a credit card and order things you see over the phone! Thanks for reading! Be sure to also check out the Habitat for Humanity ReStores (Williamson & Davidson Counties) and ReMix on 8th Avenue. Nashville friends, any other suggestions I am missing? I would be happy to update this post with some more spots! Stay tuned for Where To Shop in other cities like Atlanta, Washington DC, and Houston--every Tuesday from now until Christmas!